I'd take my mum because she would really appreciate it. One of my friends who has just become a Mum as she needs some 'me' time. I would take my mother because she is my best friend and loves afternoon tea! My husband as after 28 years, he is still the love of my life. My mum - she deserves a treat! I would take my husband as we hardly spend any time together, so this would be a lovely treat for both of us. I would take my sister as she is a very tired working mum who deserves a lovely treat. My husband because he derseves a treat, my daughter 11 will get anoyed that she cant come! My best friend, we do love a good afternoon tea! My Mum because I know she would really appreciate it. I would probably have to buy an extra place and take both my parents - they both retired last year so have more than enough time for afternoon tea! My fiance because...well...it's my fiance! My mum because she loves tea and cake! Hubby because he wouldn't be happy if I didn't. My mum for mothers day because she loves things like this!!! I would take my Mum, Ive booked us a trip to London together and this would just ne the icing on the cake. My hubby for putting up with me all these years! I'd take my mum - it would be a perfect belated mother's day treat! My mum because it's about time I treated her! My sister, because she lives far away and I hardly ever see her. My sister - we have a regular date to go for afternoon tea, as it's the best way to make time for each other in our busy lives! My daughter Isabella, last year in Harrods we had a sundae in the icecream parlour, this would be a lovely treat for out next visit. My younger sister - she's been to Fortnum & Mason for afternoon tea, but never Harrods - it would be a real treat! My friend- shes getting married at the beggining of may and is getting quite stressed out about it. I'd actually give the whole thing to my parents as a 'thank you' treat. They're about to help us with the arrival of baby number 2 and move house. can't imagine the next few months without them! I'd treat my stepdaughter. 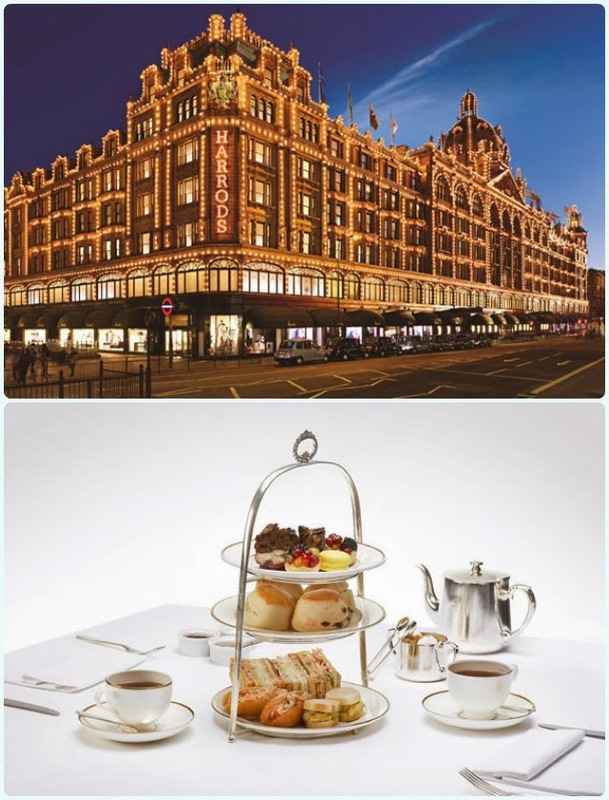 She recently took me for afternoon tea at an elegant London hotel and it would be wonderful to return the experience. Husband, we are planning on going to London this year. I would take my husband because after I've dragged him round seeing all the sights of London he will be in dire need of a cup of tea and some posh grub! I would take my husband, John as I know he would love it and he would provide the transport too! Ive had afternoon tea there and always promised to take my mum one day! my sister, I just have to pick one of them ! My husband and I are visiting London in May so this would be a treat for both of us. My Mum because she would love it! I'd take my mum, we're a big fan of afternoon tea!